DualLiner is the best bed liner for your Ford truck. Protect your truck bed and cargo with a bed liner built as tough as your Ford. 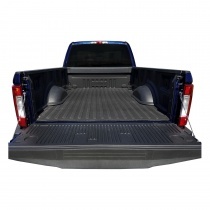 Our custom bed liners fit F-150, F-250 and F-350 with any bed length. 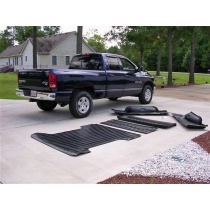 It combines rugged, dent protection polyethylene sidewalls with a 3/8" thick rubber bed mat to grip your cargo so it won’t slip around. Featuring the industry's best bed liner warranty, we'll stand behind our bed liner so you trust it to help get the job done. 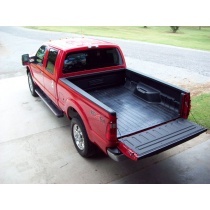 DualLiner produces the overall top quality Ford bed liner in the industry. 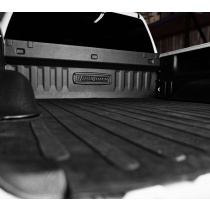 Our Ford bed liners are custom fit to match your Ford F-150, F-250, or F-350 perfectly, no matter your trim option. With DualLiner’s ZeroSkid® rubber floor bed mat, the cargo in your Ford F-Series truck will be safer than it has ever been before, and there will be no risk of damage to the cargo, or your truck. The DualLiner Ford bed liner will also stand the test of time, not like a spray-in bed liner, which is why we are happy to provide a real lifetime warranty. DualLiner has also designed our Ford bed liners to be super simple to install. There’s no need to go to a dealer, pay a hefty install fee, and wait for hours, or even days. With DualLiner’s Ford bed liner, you can do the install yourself with just some basic tools and a fraction of the time it takes for a spray in bed liner.